1914. Reg No: NL 737. 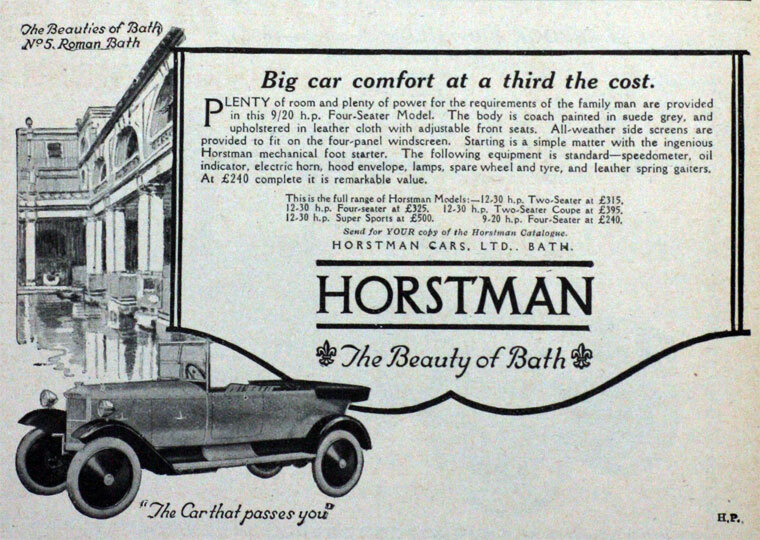 Horstmann car at the Museum of Bath at Work. 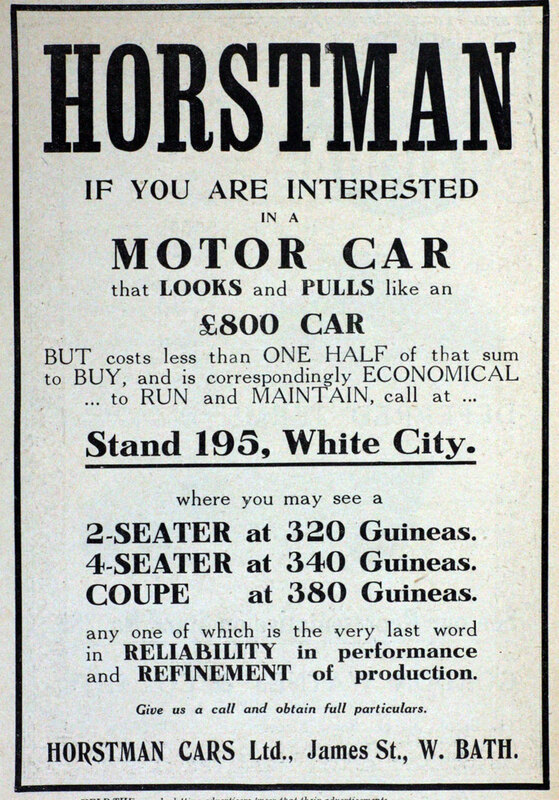 1915 Horstmann. 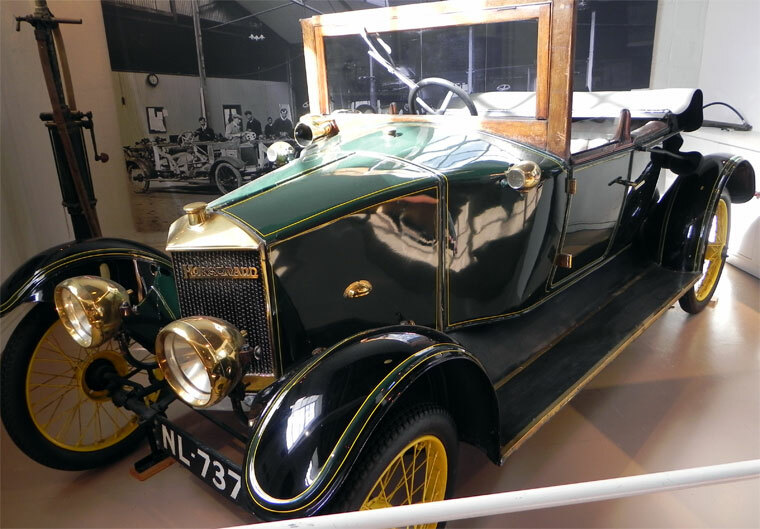 Exhibit at Haynes Motor Museum. 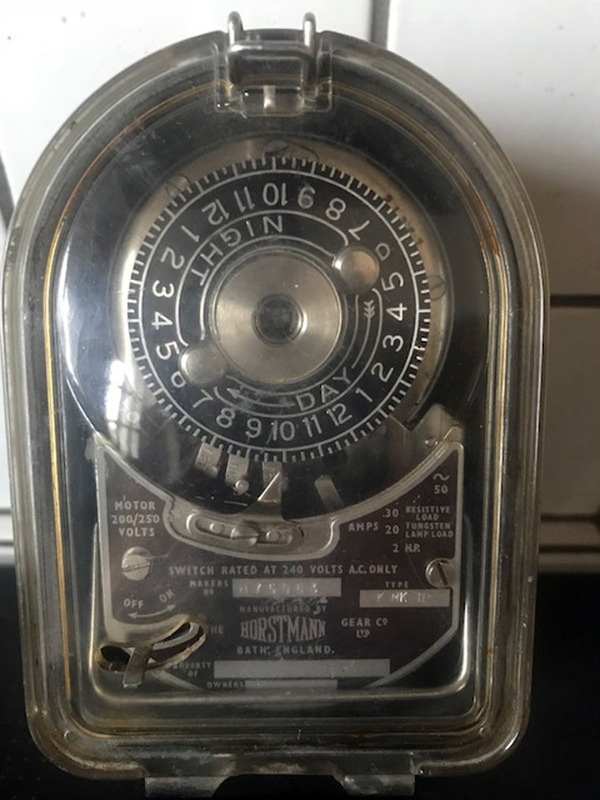 Motor Timer made by Horstmann. 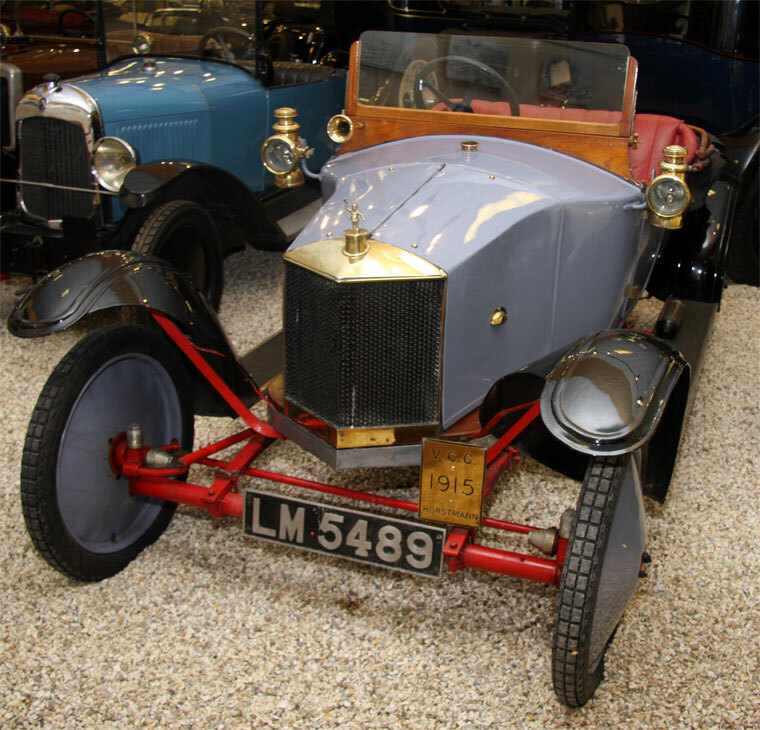 1904 Sidney Horstmann and his brothers established the Horstmann Gear Co to develop a variable speed gear-box he had invented for cars and motorcycles. 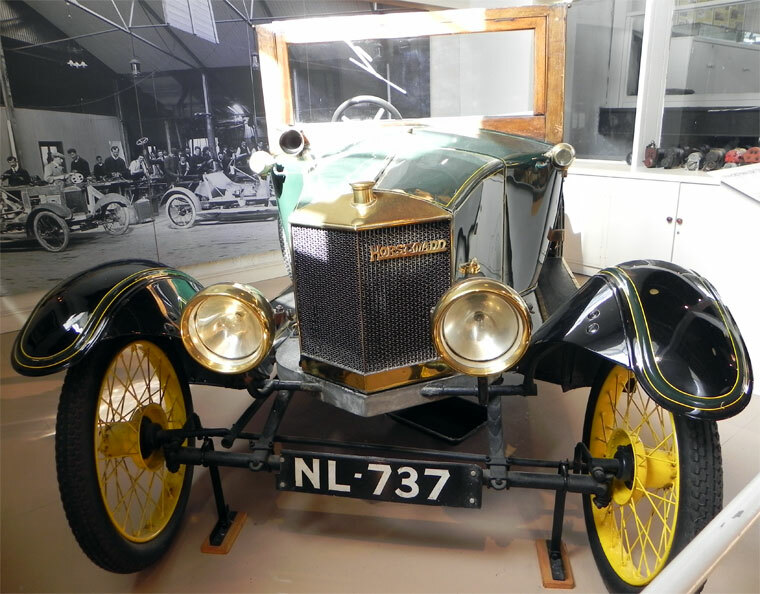 This was not a success but the company became well-known for its clockwork mechanisms and timers, and he went on to make cars in Bath producing about 1500 Horstman Cars between 1913 and 1929. Around ten of the cars still exist. 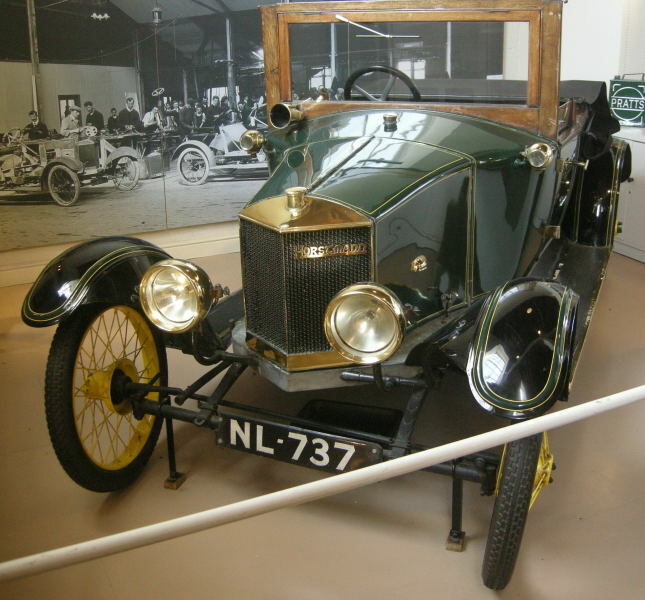 1913 Sidney Horstmann (born 1881) launched his first car at the 1913 London Motor Show. 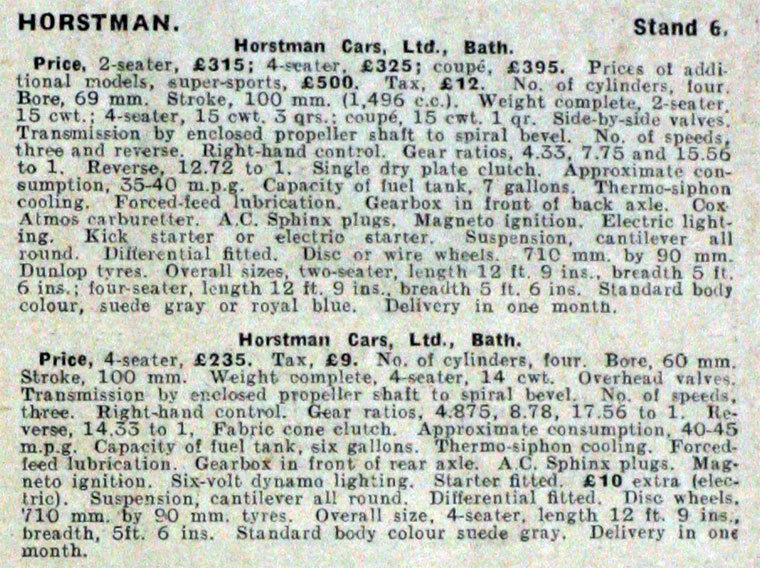 Produced about 1500 Horstmann cars between 1913 and 1929. Around ten of the cars still exist. 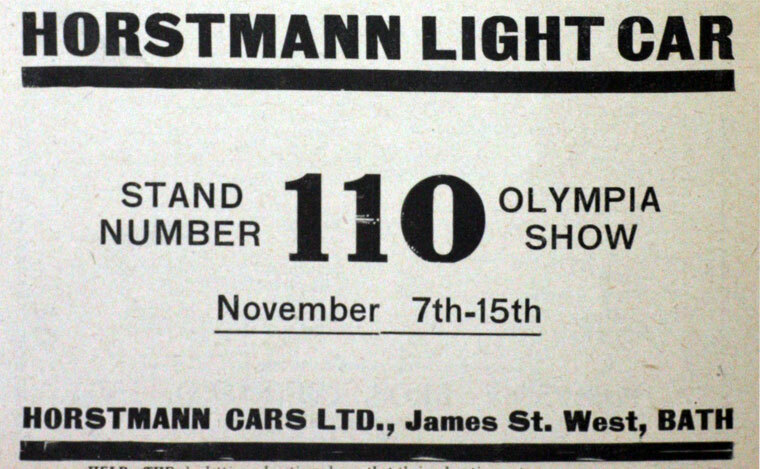 1919 As Managing director of Horstmann Cars Ltd, Sidney Adolfe Horstmann was awarded the OBE . 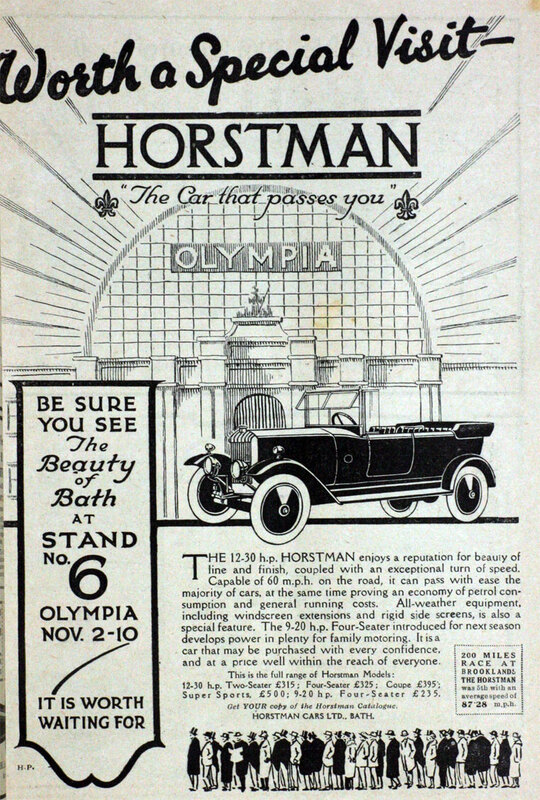 c.1920 Dropped the second "n" in Horstmann in their advertising. This page was last edited on 4 January 2019, at 10:07.